When we woke up, we were in Ishigaki, Japan. Ishigaki is part of the Okinawa. For most of history, Okinawa was an independent kingdom known as Ryukyu kingdom, and shared intimate connections with Southeast Asia. It acted as a trading port of sorts between China and Southeast Asia. But in the present, due to its fairly tropical weather, beautiful beaches, clear waters, and reefs, it is now a popular honeymoon destination for Japanese couples who opt for a domestic location. As part of the entire cruise vacation idea, Star Cruise also offers several land packages at extra cost. My parents signed up for the Kabira Bay and Limestone Cave tour. Kabira Bay is certainly pretty, with clear turquoise waters. For tourists who want to get closer to marine life, right after we got off the bus, there were multiple offers for glass bottom boats, from which you could view the marine life without discomfort. Rates start from 8000 yen for adults. We didn’t bite. Still, it was a nice view from the top. 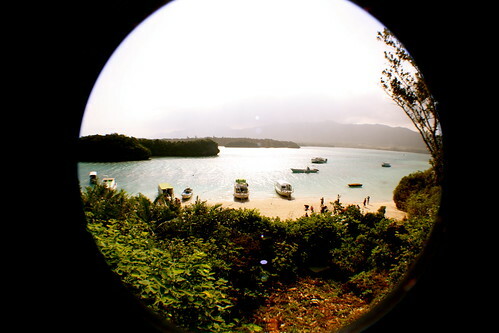 There were plenty of little islets from the top of Kabira Bay. It reminds me a little of Komodo, actually. As there was some time, we ended up sitting at a coffee shop, and having some of their local gelatos, with very interesting flavors. Unfortunately, I’m not known to venture far beyond chocolate ice cream, so I can’t really comment. But you can check out the other flavors available on my flickr page. Next stop – limestone cave was slightly disappointing. After having been to the Phong Nha-Ke Bang caves, it was kinda hard to be impressed by this. 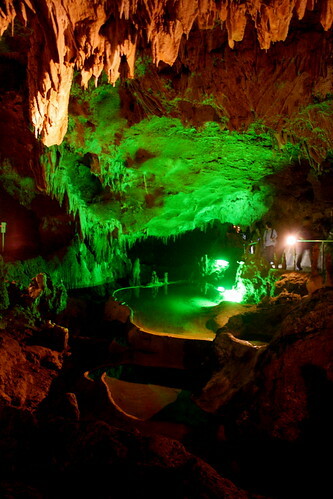 The lighting was somewhat tacky, but they are somewhat different from previous limestone caves, because they are really wet. Walking around was slightly scary, as I was afraid to slip and fall. I shall let the pictures do the talking. After lunch, and a trip to the super mart, we returned to the boat before 2 pm. After re-embarking, we were informed that the second part of our trip to Naha has been cancelled, as a typhoon was making its journey through the seas, and the port of Naha will be closed. Consequently, we have to make a premature return to Keelung. 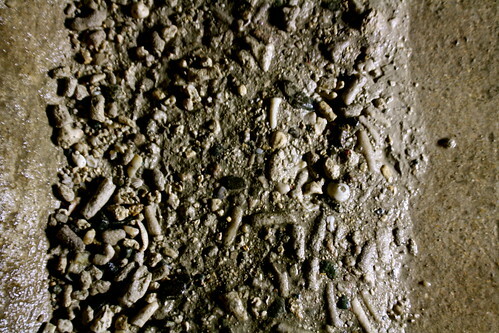 Coral in the limestone cave?